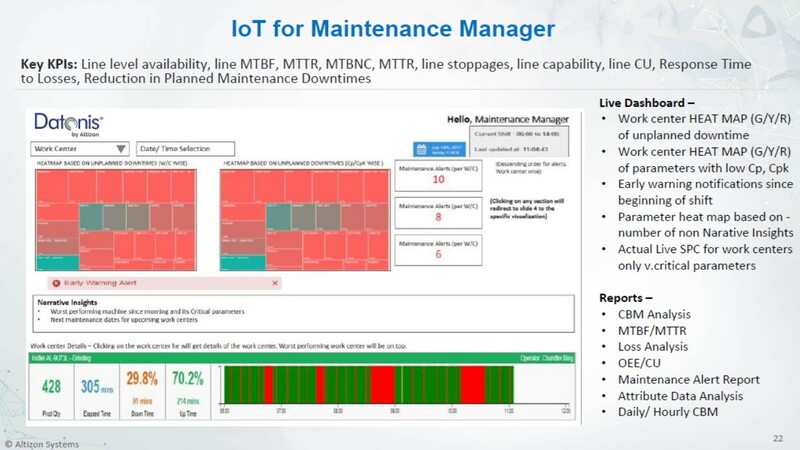 INDUSTRIAL INTERNET OF THINGS (IIOT) – Evio Pvt. Ltd.
Having developed deep knowledge, experience in implementing automation solutions in 1) Industrial Automation (IA) in Tyre, Pharma, F&B, Water & Waste Water, Solar SCADA, Energy Monitoring 2) Building Automation (BA) in real Estate & DATA Centre , we now offer, to empower our Customers to harness the advantages of IIOT, by providing end-to- end solution of Industry 4.0. 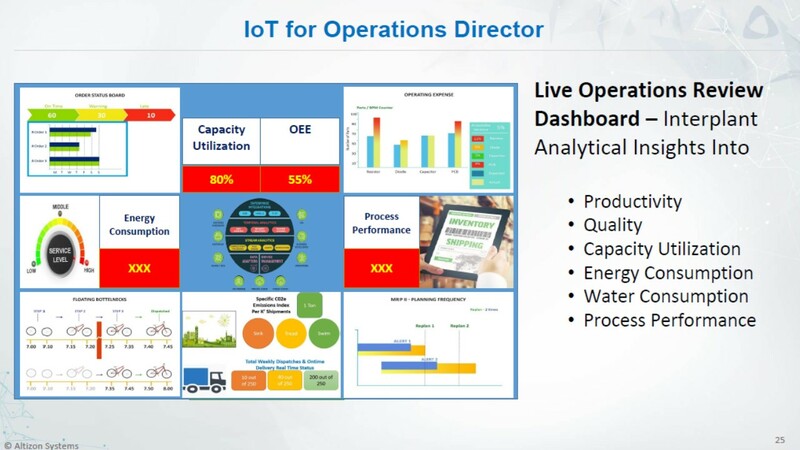 Integration of Operational Technology (OT) by selecting, supplying & integrating required Sensors, PLCs, VFDs of any make with IIoT gateway. By Providing IOT gateways platform to host the data on cloud or by providing FOG computing as per the operational requirement. Providing data analytics (DA) and Machine learning (ML) through cloud computing as per the business requirement. 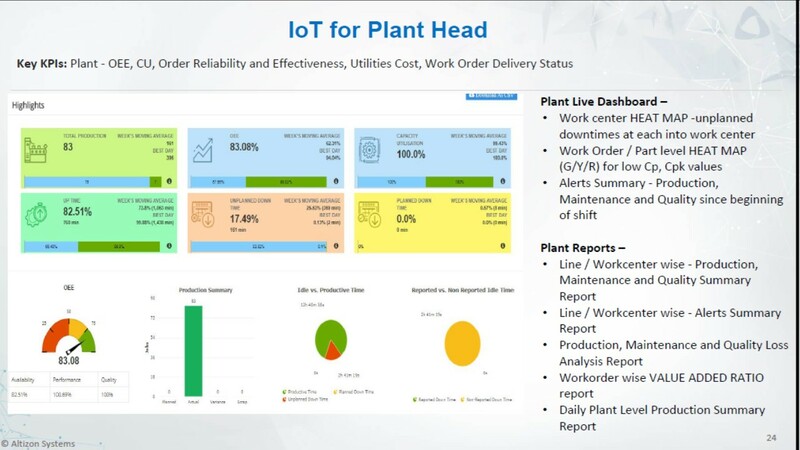 Altizon a global industrial IIoT platform company, and EVIO Pvt Ltd., a worldwide industrial automation engineering service provider, today announced that the two companies have joined forces to help their mutual clients accelerate delivery of their IIoT projects. 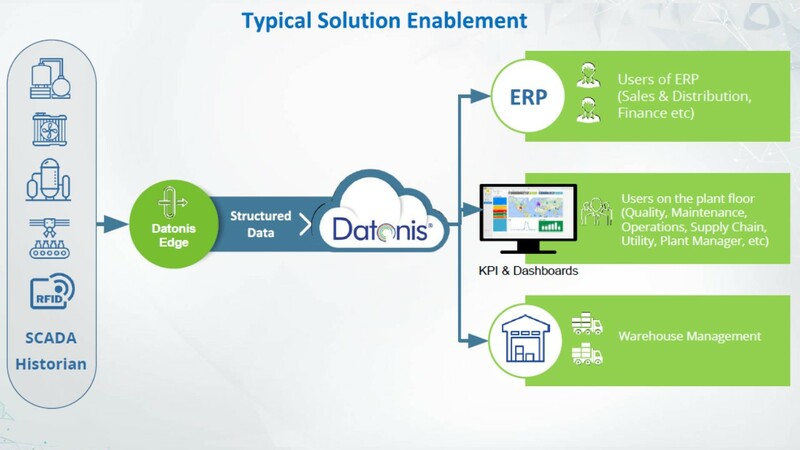 EVIO, which services a large client base of well-known global brands in the chemical, automotive, manufacturing and energy management vertical industries, can now harness the power of Altizon's Datonis IIoT platform for large scale IIoT projects. The Internet of Things is a compelling investment for manufacturers: According to recent research from Statista, Discrete Manufacturing, Transportation/Logistics, and Utilities will lead all industries in IoT spending by 2020, averaging $40B each. 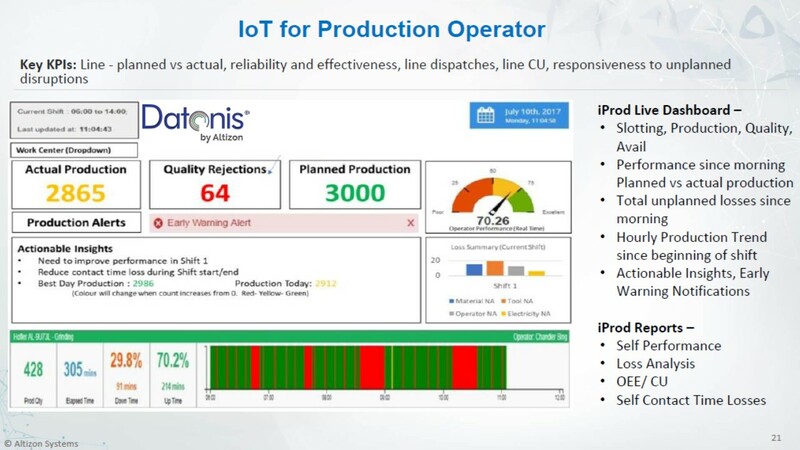 Improving the accuracy, speed, and scale of supply chains is an area many organizations are concentrating on with IoT. 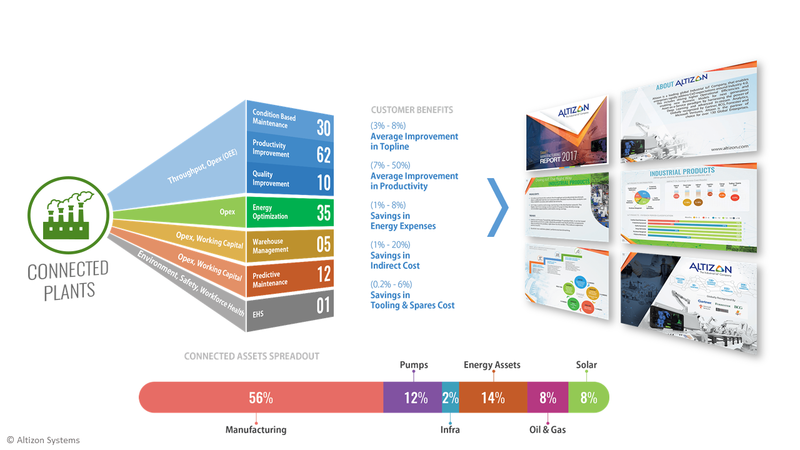 Altizon empowers Industrial Digital Revolutions globally by helping enterprises use machine data to drive business decisions. 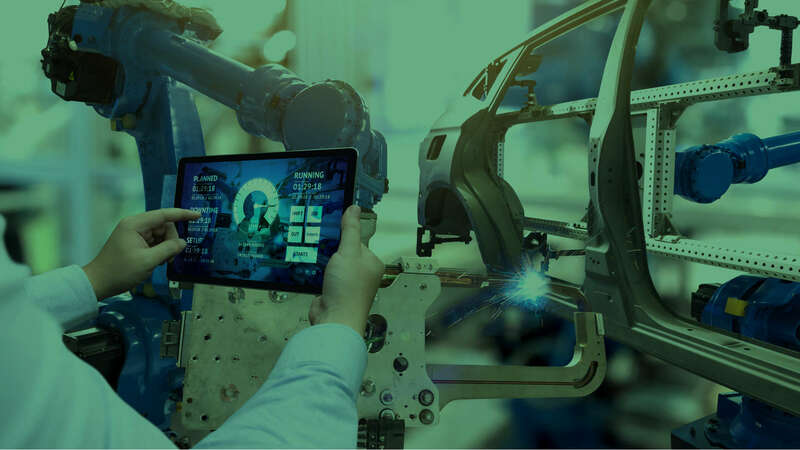 We enable digital transformation in enterprises by accelerating Smart Manufacturing initiatives, modernizing Asset Performance Management and pioneering new Business Models for service delivery. 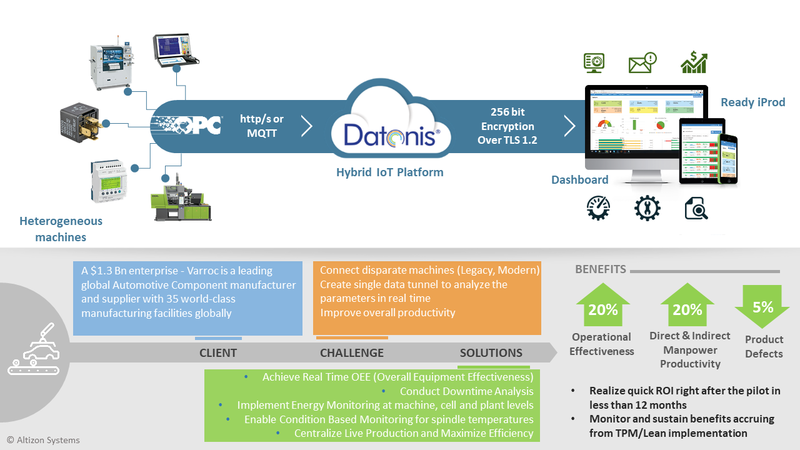 The Datonis IIoT platform accelerates IT/OT integrations by helping quickly connect diverse industrial assets and launching new applications over a hybrid infrastructure with edge computing, advanced in-stream analytics, an application development framework and Deep Learning capabilities.